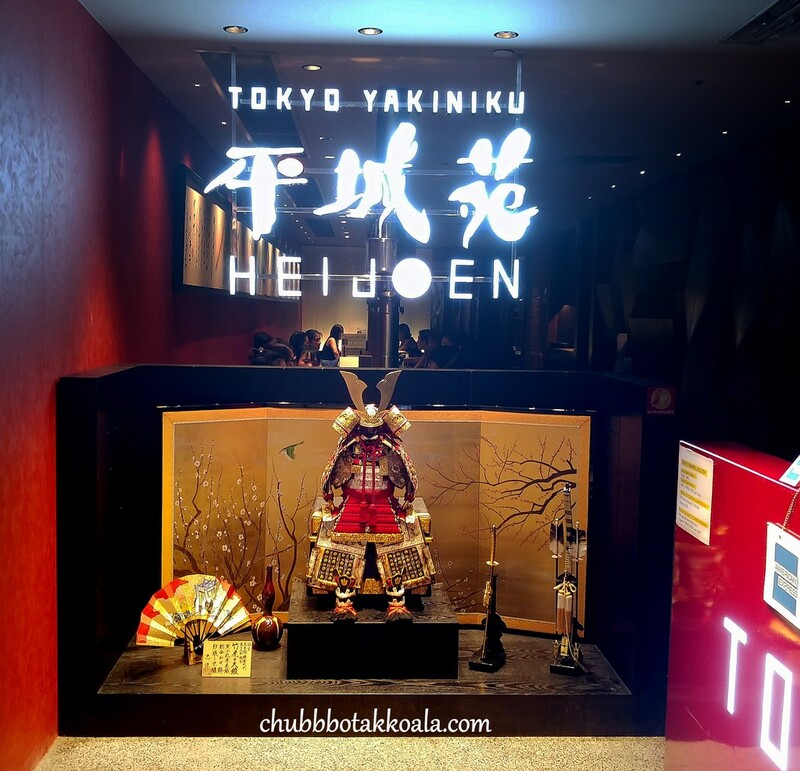 Yakiniku Heijoen Singapore, or also known as Tokyo Yakiniku Heijoen is part of Yakiniku outlet originated from Tokyo, Japan. It has more than 30 outlets, showcasing the best of Japanese cuisine. 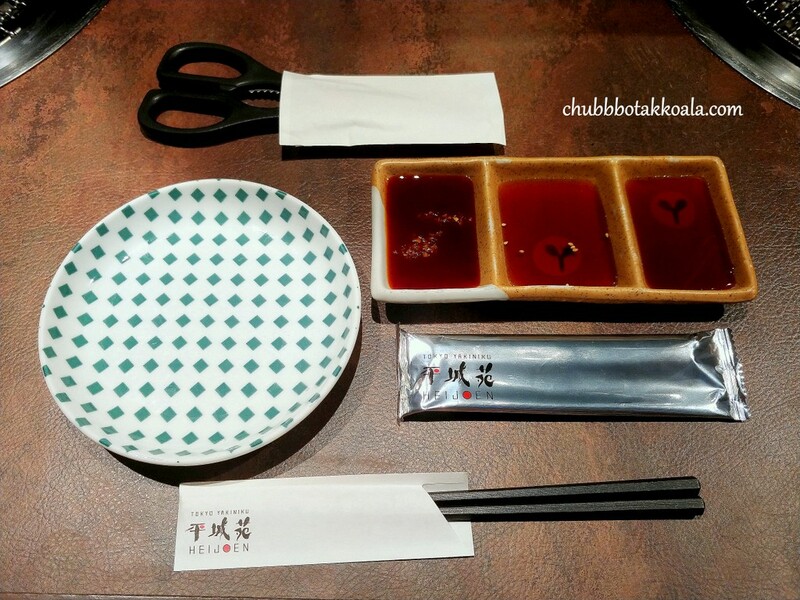 We were enticed by their Premium Japanese Wagyu Beef Buffet. Priced at $59.90++ with more than 58 items to choose from. 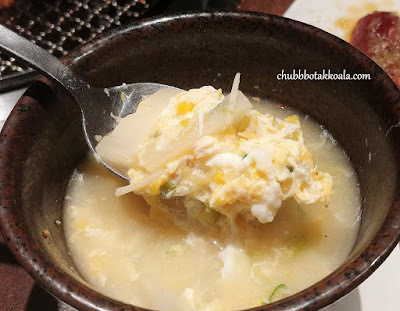 Located at Itadakimasu by PARCO, it is one of the restaurants that showcase Japanese cuisine. Two main wagyu cut offered for the buffet are Japanese Wagyu-Kalbi and Wagyu-Harami. 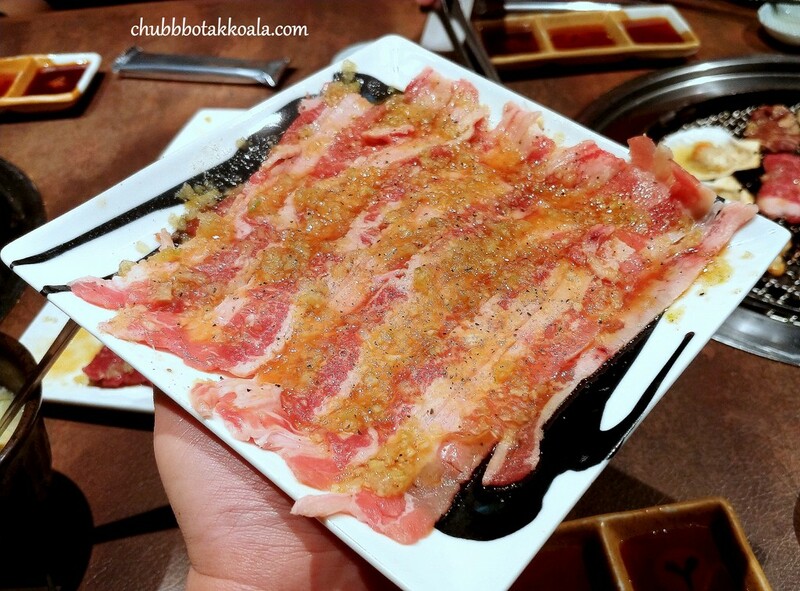 Kalbi is the cut from the ribs, known for the beautiful marbling where you can expect the melt in your mouth experience. Meanwhile, Harami present slightly meatier flavour. 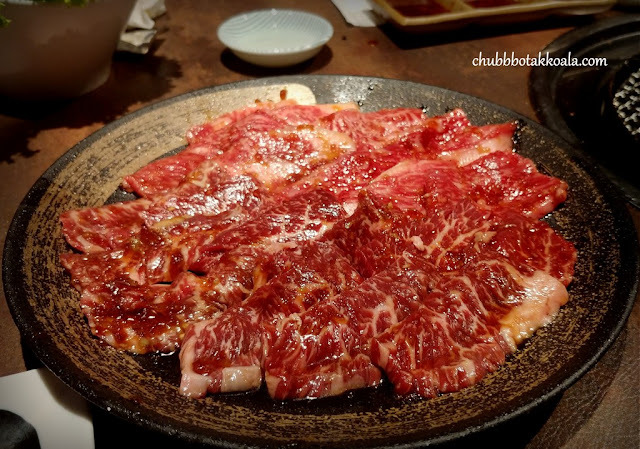 Expect a bit more bite and beefy feel to this cut of the meat. 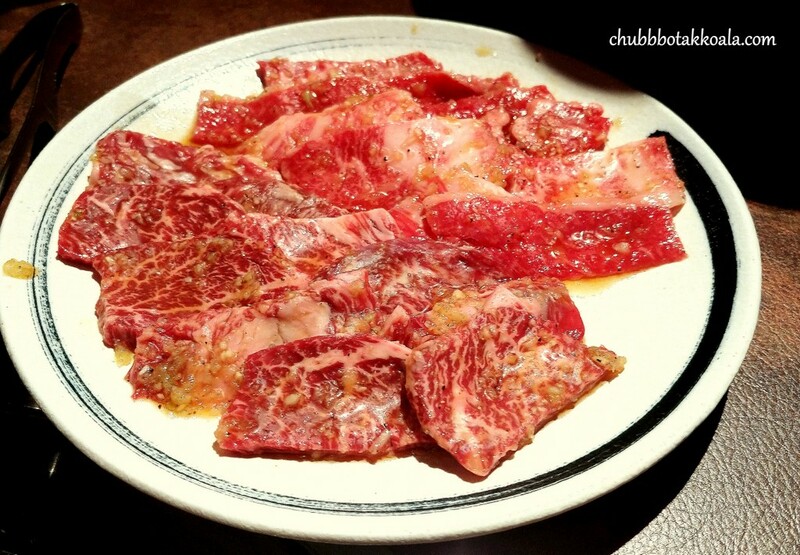 Because it is high-grade wagyu Wagyu, the difference is very subtle. Both cuts come with two types of marination, sweet BBQ sauce and garlic salt. 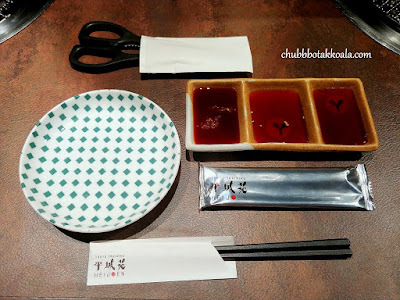 We tried both and we like the sweet bbq sauce better as it presents a more familiar yakiniku flavour. Next on the list are their Jo-Kalbi (US Kalbi), Beef-Harami (US Harami), regular Beef Kalbi and Beef Rosu. 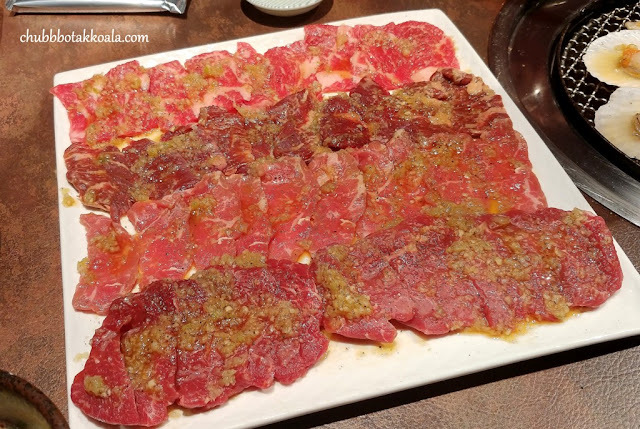 Straight away, you can feel the difference in the meat, going from OMPH… to OHHH... Expect a meatier and beef flavour in these cuts, but on the positive side, you won’t get overwhelmed very fast. Beef-Tongue (Gyutan), a must order here. Thinly sliced with a huge round area. 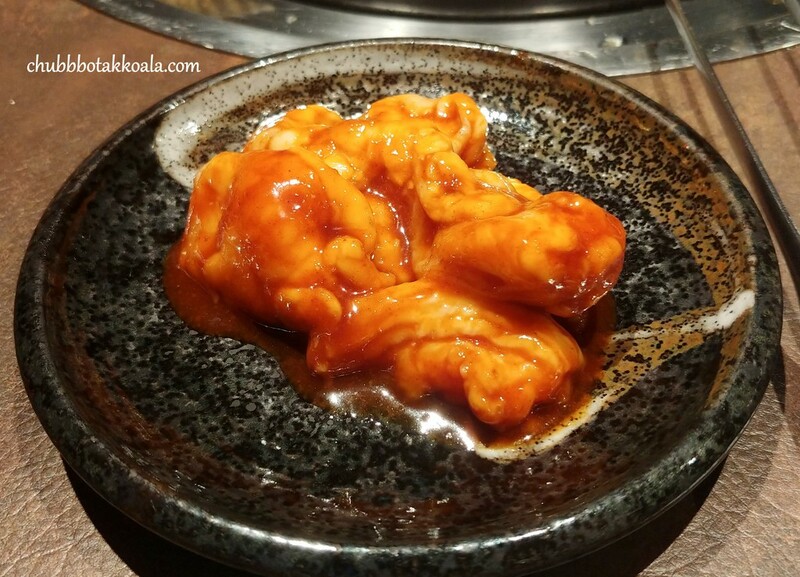 If you cook this just right, you get a tender with a slightly chewy texture. Large intestines, for someone who likes a challenging cut. A combination of chewy and fatty. If you grill it long enough, you will be rewarded with a crisp and complex flavour of the offcut. 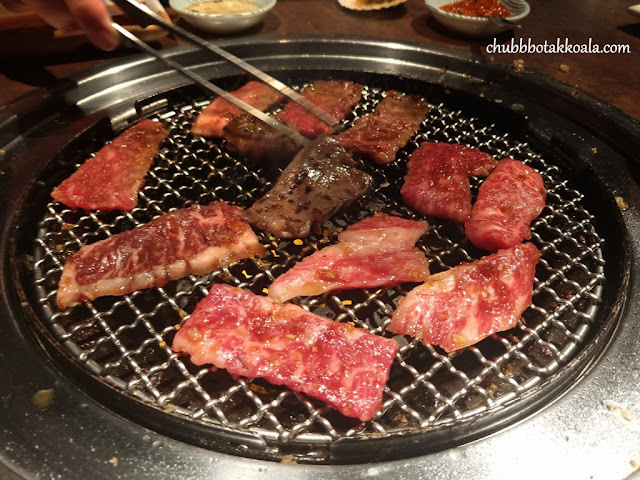 Aside from the beef, the Pork Kalbi and Pork Rosu are not to be underestimated. We personally like the pork belly. Fatty and pack the oink oinkness. 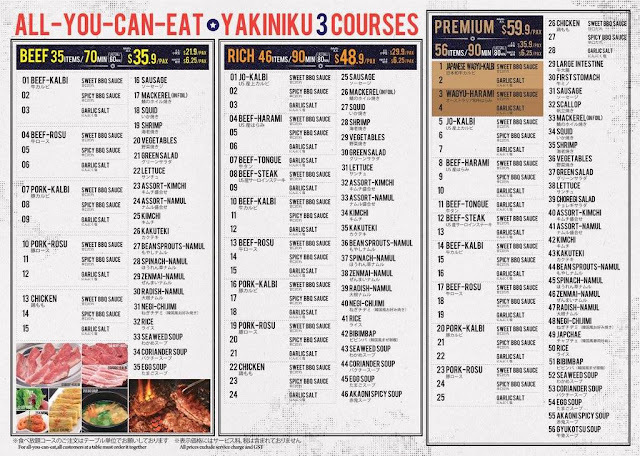 There is also chicken selections if needed. Not meat lover can enjoy their seafood selections as well. Scallop, Mackerel, Squid, and Shrimp. 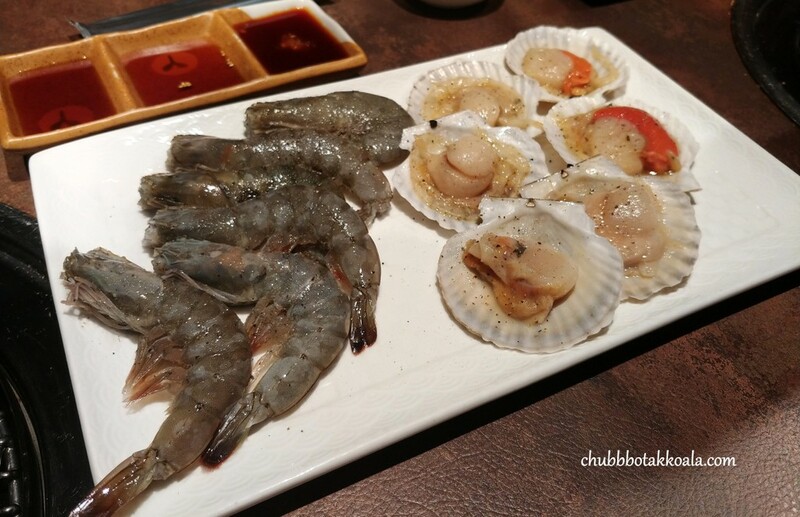 The scallops and prawns are juicy and plump, however, both took a long time to cook. 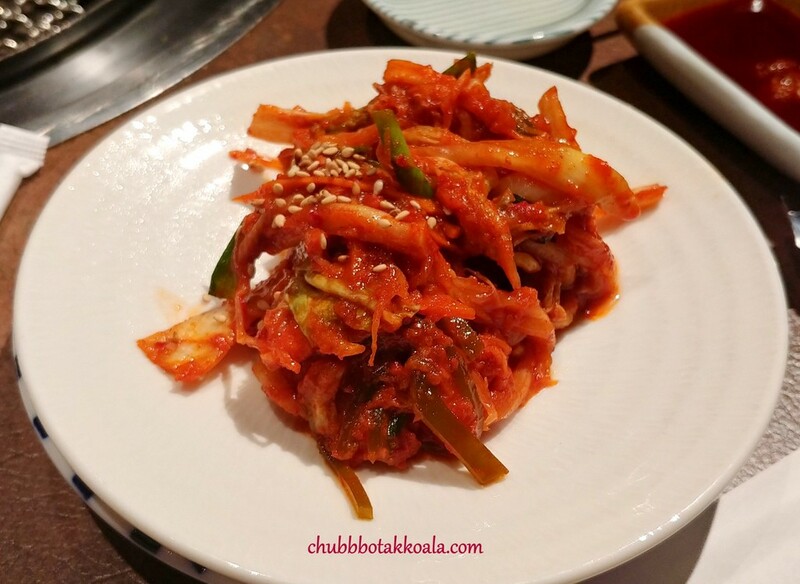 Side dishes, vegetables, rice and soups are part of the menu as well. 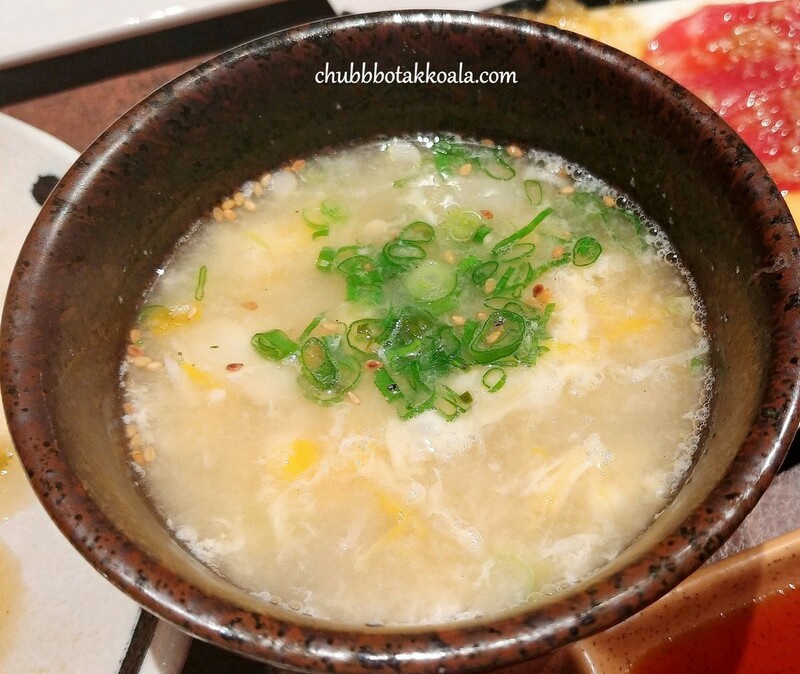 The Gyukotsu soup is clear yet robust. 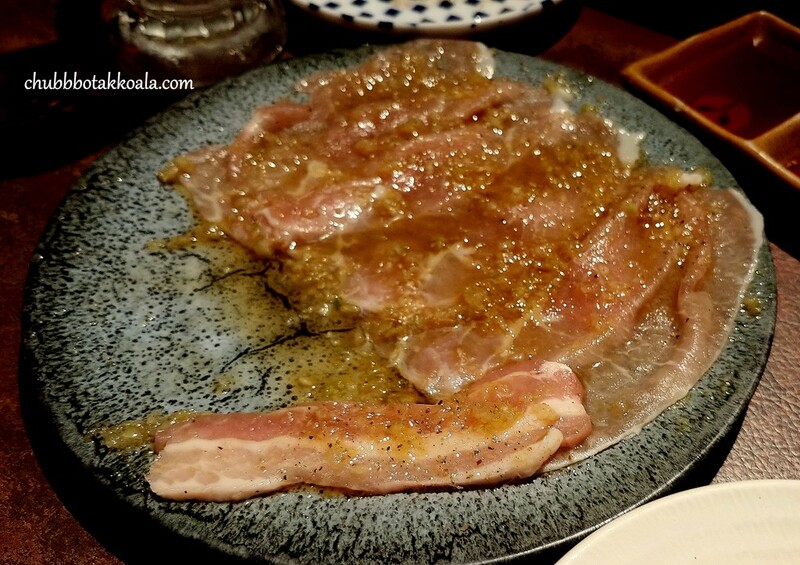 It is good to wash up the oiliness from the meat. The décor of the restaurant is very modern. 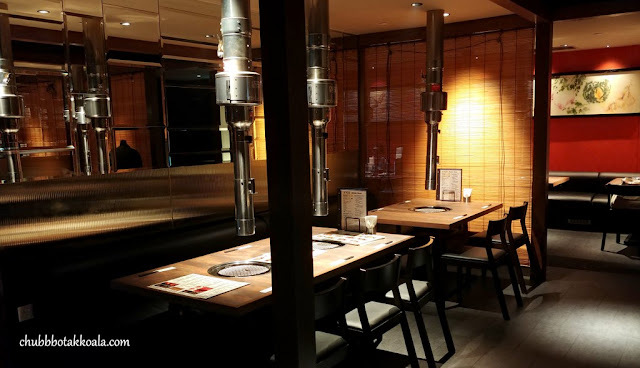 The front part of the dining area is very open while the back area is more private and separated with partition or bamboo curtain. Service is efficient and the service staff always tried their best to explain to you the cuts of the meat. 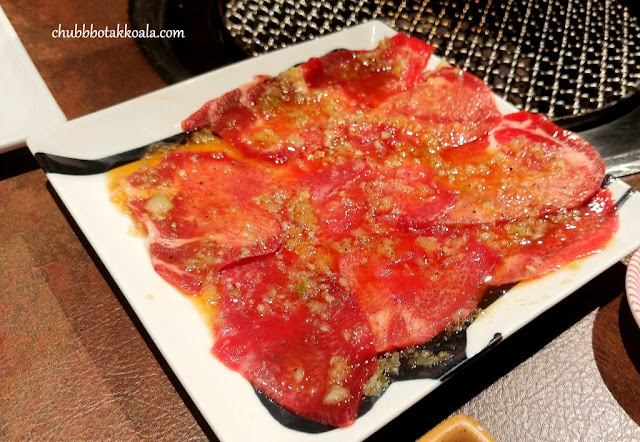 Overall, Yakiniku Heijoen Singapore is definitely a place you must consider for Japanese Wagyu Buffet Yakiniku. 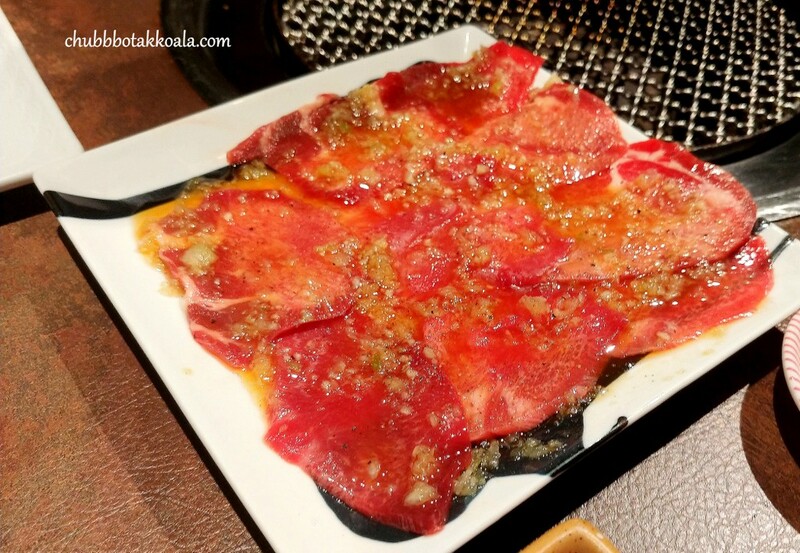 They also serve higher grade wagyu cuts in the ala carte menu. Kanpai!! Cheers!! Budget per Person: $51 - $80. Food Bloggers Nice to Meet YOU!! Instagramers Nice to Meet You! !